Were you injured in a car accident with a drunk driver? Did a drunk driver kill someone you loved? Everyday someone chooses to get behind the wheel of vehicle with a BAC higher than legally permitted. They not only increase their chances of getting into an accident, but also increase the chances of an accident causing injuries and possible death, of those who are on or near the road. According to the CDC from 2003-2012 the amount of deaths associated with drunk driving crashes in Texas rose above 13,000. That does not include all the injuries that are a result of drunk driving accidents. Usually an investigation of an accident involving a drunk driver is conducted and charges are made. But how does that help you or the ones you love? If you are injured in an accident involving a drunk driver you are entitled to fair compensations for the injuries you have suffered. An experienced Houston personal injury attorney is able to recover a full range of damages that may include non-economic damages like pain and suffering. We will build up your civil case to recover the damages you are owed. If your loved one was killed in a drunk driving accident, a Houston wrongful death attorney at Sigmon Law will be able to recover current and future financial losses your family will endure due to the loss in the family. Our personal injury lawyers in Houston can help you prove your case. We have years of experience helping victims injured in car accidents. 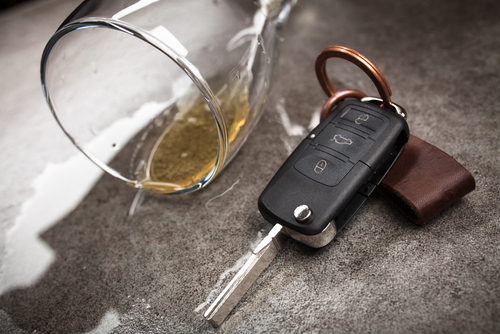 The drunk driving alone may or may not be enough to prove that the other side caused the crash and your injuries. A personal injury attorney can help you find the right accident reconstruction expert to explain the events leading up to the accident. In addition to helping to connect the dots about how your injury occurred, Sigmon Law will gather all evidences of the full extent of your damages. Your medical bills are only the tip of the iceberg. If you’re unable to work, that’s another category of damages. Our attorneys know the ins and outs of personal injury in Texas, and will work hard to get you the compensation you deserve.